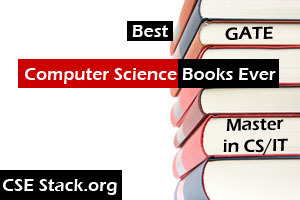 Computer science is on the peak as the ways technology growing. And needless to say, there is a requirement of skilled human resources and so the computer science engineers. The journey of the CSE graduate is never easy to get enrolled in the greatest institute in India like IITs. It’s beyond the challenge when non-CSE stream lad, appeared for GATE in CSE specialization and secured AIR 60. Breaking Norms! Yes! I am very glad for interviewing Sudheer Chandra, AIR 60 CSE who comes from ECE background and notch his success by appearing GATE in CSE specialization. In this interview, he is sharing GATE CSE preparation for ECE student. 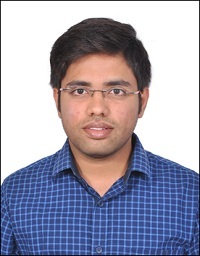 Sudheer, welcome to our CSEstack “GATE Ranker” interview series. I am sure your advice will be very useful for future GATE aspirants. Please tell us a little bit about yourself, your GATE rank, education background, specialization? I am a resident of Ramayampet, a town in Telangana state and graduated in Electrical and Electronics Engineering from NIT Warangal. I have secured AIR 60 in gate CSIT 2017. When I decided to quit my job and pursue my career in CS even though my background in EE, my family supported me a lot. I want to dedicate my success to my elder brother and my family. I am very happy. The effort paid off. What is the motivation behind your GATE preparation? I worked in the company for two years where I felt my passion towards Computer vision, algorithms, and programming. So I decided to do masters in CS and started preparing for GATE CS. When and How to start preparing for GATE CSE exam? Knowing strong subjects and weak subjects, for example, My strengths are Aptitude, PL, DS, DAA and digital as I studied these subjects in Bachelors. That helps in allocating a number of hours for studying. Know the weightage of each subject and start planning accordingly. Read syllabus sheet and write down topics & subtopics, so that you will not miss any. What is the best time do you find more compelling for study? I prefer morning time the best to study, in calm and peace atmosphere with absolutely no music or video songs. I can advise people who will join coaching from my experience. For others who are preparing on own & don’t have solid notes, I advise you to solve a lot of problems and read concept related to each question rather than randomly studying textbook. I had classroom coaching and notes from coaching covers 70% marks in the exam. So one must understand each and every word in class to have a clear picture. If something is not understanding, immediately refer standard textbook. Whenever I read a textbook on a difficult topic taught in class, I added points to my class notes so that I will not refer textbook during revision. So by the end of syllabus completion, I had only notes to read, few materials and online Test series. I prepared short notes on TOC, CD, few formulas in maths. Solve previous gate questions twice, once in November and again in the second half on Jan. That will boost confidence. My scheduling for the subjects is interleaved so that I will be constant touch with subjects during revision. Don’t rely too much on test series to identify your strong and weak subjects as there can be a lot of irrelevant questions in test series during revision. So I am here choosing one topic from each subject. If there were three key tips to crack the GATE (CS) exam, what would they be? Don’t solve the question for a just answer, because we see the new question in the GATE exam, understand the concept. Practice a lot and learn from problems in last months of preparation rather than reading concept. One never masters a concept without solving problems on it. Have you attended any coaching classes? If yes- From where? How did it help? In your opinion, is it necessary to take coaching for GATE Preparation? I have attended coaching in ACE Academy Hyderabad. It helped me define boundaries of my preparation by knowing the extent of the syllabus. In core 85 marks, 60 marks will be from direct concepts taught in class. Remaining marks will be based on your practice of different models from materials. I am from the Electrical background, so coaching helped me a lot. I can’t comment from CS graduate perspective. DAA Please don’t read CLRS for GATE. One can’t deny it’s a great book, but it is not simply best for GATE. Previous gate questions: Solve previous gate questions as much as you can. How to overcome the nervousness while appearing for GATE exam? On the exam day, what was your experience like? Please elaborate upon this as it will be extremely helpful for the students. I was not much nervous, but I realized the importance of those three hours in my life. I kept on thinking of giving my best. Eat chocolates, fruits and have coffee. How should one schedule answering the GATE exam – which section to attempt first and which next? I answered two marks core question first as the brain activity will be high during initial hour, answered aptitude last, as it was easy for me. Any advice for future GATE Aspirants? Just write your goal in the book and daily read it for five minutes. It will keep you motivated. Also be clear on your goal, gate CS is logical, be strong in solving aptitude questions, that will help you solving core questions too. You can read best practices to solve the attitude test. Be happy, be competitive and all the best. If you are from a non-CSE stream, you would like to read Himadri’s interview who secured AIR 15 in CSE GATE despite coming from ECE background. Thanks Sudheer for your guidance through your interview and for advising GATE Important Topics for CSE. You are being the role model for many, seeking GATE CSE Preparation for ECE Student. I am sure it will sound valuable for many those are preparing for GATE.